Thanks to JABA – our local “myth-busters” – for leading the way! – Live & Learn! Thanks to JABA – our local “myth-busters” – for leading the way! How exciting to see our own JABA rewarded with a grant and praised on the USDA blog! JABA is truly leading the way in many different areas. I have mentioned before that my favorite volunteer program is JABA’s Friends in School Helping (FISH). Helping students learn is a wonderful way to keep your brain sharp while participating in an intergenerational effort. 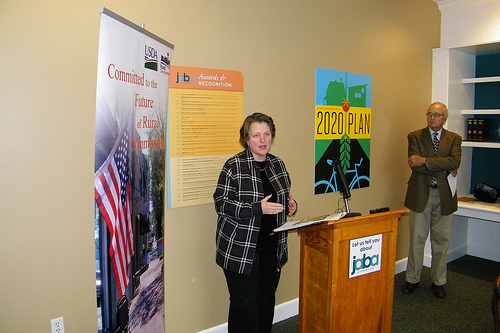 “The Jefferson Area Board for Aging (JABA) are myth-busters, plain and simple,” said Agriculture Deputy Secretary Kathleen Merrigan at a recent funding announcement held at JABA’s main office and Adult Daycare Center in Charlottesville, Virginia. USDA Blog » How One Area Agency on Aging is Leading the Way. Next PostNext 2020 Plan: Aging in Community – JABA again leading the way!